Einer der wichtigsten öffentlichen Gebäude der antiken Stadt von Ko ist das heutige restaurierte Römische Konservatorium. Der Kultur nach befindet es sich im Süden der westlichen archäologischen Stätte, im Westen des restaurierten Römerhauses (Casa Romana) und im Nordwesten des antiken Theaters. Der Paradies Strand ist einer der berühmtesten Strände der Kos Insel und liegt ca. 7km von Kefalos entfernt. Es ist ein wahrer Paradies Strand (daher der Name), mit feinem weißem Sand und kristallklarem Wasser. Das Asklepieion von Kos ist die mit Abstand bedeutendste archäolo gische Stätte auf der Insel. Das antike Sanatorium liegt 3,5 km in nordwestlicher Richtung, außerhalb der heutigen Inselhauptstadt auf einem von Zypressen bewaldeten Hügel, knapp 100 m über dem Meeresspiegel. Der Ausblick fällt auf die Küste Kleinasiens. Tigaki (ca. 250 Eihnwohner) liegt 11km von Kos Stadt an der nördlichen Küste und 7km nördlich vom Dorf Asfendiou. Der Urlaubsort hat sich in den letzten Jahrzehnten entwickelt und prahlt mit einem langen weissen Strand in einem grünen Tal der Insel. Jahre zurück war dies der Lieblingsferienort der Einheimischen! Asfendiou liegt 14km südwestlich von Kos Stadt, nahe des Berges Dikeo inmitten der üppigen grünen Landschaft. Dauerhaft leben dort ca. 100 Einwohner und laut der Geschichte erlebte das Dorf zwischen 1850 – 1940 seine Blütezeit. Nisiros – ein Ort wilder Schönheit, entstanden durch Vulkanausbrüche. In der griechischen Mythologie wird erzählt, dass der Meeresgott Poseidon bei der Gigantomachie, dem großen Kampf der Götter mit den Giganten, den Giganten Polybotes besiegte, indem er die Insel Nisyros auf ihn warf. After a great experience with our partners have all the means to organize a beautiful and memorable wedding. We take care of the whole process of licenses and all the rest of the package of your choice. Wählen Sie Ihre Lieblings-Webcam und genießen Insel Kos aus Ihrem Haus. If you want to enjoy souvlakia do not forget to stop by the restaurant – grill house “Panorama” with the most delicious ones .. Situated above the airport in Antimacheia and is the ideal place not only for travelers. You’ll find a variety of other dishes .. They are delicious, as they are putting all their experience and passion to serve you. Right service, right quantity, while baking and appearance of each portion will fully satisfy you. They have constructed their brand new olive oil bottling unit, which means that they have absolute control of our production. That’s how they are in position to offer high quality products to selective and demanding customers. To those who are searching for a special olive juice, rich in antioxidants and nutritional properties. Our goal is not mass production, but the contribution of tasty products, enriched with antioxidants and thousands of other beneficial properties, with fruity flavor and unique aroma, capturing the aromas of the surrounding wild herbs. The way of cultivation and harvesting, aims to the production of high quality olive oil with the lowest acidity possible and the highest nutritional value. It may be said that those who visit the area of Agios Theologos, come for its amazing scenery and its spectacular sunset, but through the years, it has been proven otherwise many who came back year after year, come to Agios Theologos restaurant for its tasty cuisine and of course for its friendly, professional service. Agios Theologos restaurant is located on the southwest part of the island of Kos. Its 5 kilometers away from the village of Kefalos and the only restaurant in the area of Agios Theologos. It’s a family owned business since 1991. The unspoiled nature makes this area very unique. It’s a place where someone can find peace and quiet away from traffic and everyday life. Our restaurant is 50 meters away from the sea. You can enjoy your food and drink with the sound of the waves and in the evening watch the setting of the sun over the Aegean Sea, it’s truly a rejuvenating experience. At their restaurant, you will find freshly prepared meals every day, as they use locally grown vegetables, meat and fish. For those travelling to Kos a stay without visiting Agios Theologos would be incomplete. The Triton Hotel is centrally located in the heart of Kos, facing the North Beach road. The property is within walking distance to the major historical sites, such as the “Exarhia” and the magnificent Museum next to the commercial and business district of Kos. The Triton Hotel is an ideal choice for business and leisure travellers. If you want to try the traditional Greek meal, El Greco is the perfect restaurant in Kos! Fresh fish and meat are amazing. The relaxing atmosphere, courteous and helpful staff and reasonable prices will make you want to visit it again. They offer fresh seafood and meats. If you are unsure of what to eat, let the owner recommend his own menu, and you will definitely get a great taste of Greece. The company Expo World manufactures stands depending on the demand and requirements of the exhibitor, in Greece and throughout Europe. Our company pays particular attention to constructing private stands. In this area our experience makes it possible for us to make even the wildest fantasies of the exhibitor come true. This is due to our experienced staff and the use of sophisticated means. The design of each stand is based on the collaboration of the designer and the exhibitor, which makes it possible for the exhibitor to have the desired result. Expo World guarantees the installation and maintenance of the stands, which is done responsibly by a specialized crew. YOU MAKE THE CHOICE – WE MAKE IT HAPPEN Knowing the increased cost of advertising and the requirements needed we are in the position to be able to present one of the best planning, design and construction exhibition packages available. This package also offers the best in the field of aesthetics, function and quality, all in keeping a low cost. Traditional local homemade pastries and sweets, you should try the amazing traditional “Baklava”. Pies, bakery goods, breads of rye, wheat flour and wholemeal, breadsticks, baguettes, sandwiches, croissants, buns, tortillas. Sweet flavors in a wide variety such as tarts, pastries, cakes, sweets and great ice cream with fresh milk in many flavors. 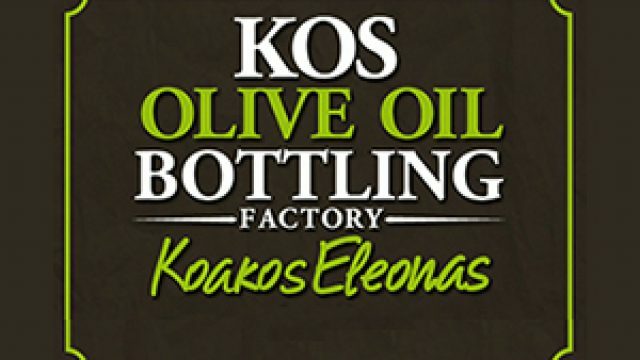 All these years the philosophy and the goal of bakery “KOS” is reaching the highest quality by using the finest materials and fresh local products. Now also at weekends we offer fresh snacks and pies with a variety of aland and cheese all day longn and also fresh coffee! “Sifis” restaurant is located in the most central part of Kos town.In the center of the harbor, which is full of people in the summer, in a beautiful neoclassical building offers you excellent dishes with cuisine based on traditional recipes using local raw materials, fresh meat and seafood will satisfy your tastes with amazing view the harbor’s blue waters.. At “Sifis” restaurant you can look for the best suggestions for city delicious seafood delicacies! But as we are not all of us friends of seafood you will find a variety of meats, grill, gyros souvlaki but also pizza and pasta. The Cafe is open for all your breakfast requirements including traditional English breakfast and English sausage and bacon rolls. Why not call in for morning coffee and one of their home-made cakes? At lunch time snacks and salads are served and in the afternoon English teas and a selection of homemade cakes and pastries, including favorites like Apple & Blackberry Pie, Fruit Cake and Strawberry & Cream Tart. Try their homemade Beef burgers – delicious! T42 is fully licensed; beers, wines and spirits are served as well as soft drinks including freshly squeezed juices. And all at competitive prices!!! Tavern Kalymnos was founded in 1997 from Helen that came from the island of Kalymnos. She is an exceptional cook that specialises in fish and marine spieces cooking. With her groom Yannis and her two girls Katina and Maria they have undertaken a few changes in the restaurant, but always maintaining the quality, hospitality and the tasty food. Kalymnos is a very beautiful and graphic tavern, with freindly decoration, that leaves you the feeling of sea and fish. T You can have ouzo – frozen snacks and draft beer, accompanied by local mezedes, which are always made with fresh, homegrown materials, homemade pies and a selection of fish and lobsters only by local fishermen. For the end they offer you Kos’ sweets accompanied with yogurt or ice cream. It’s woth visiting for special food in low prices..!!! Enjoy your coffee or your drink with panoramic view! In a beautiful and friendly environment from morning till late in the evening enjoy our unique hospitality. The morning with cool mountain breeze for coffee and breakfast on the terrace. And of course in the afternoon for a drink or snack with unparalleled views of the Aegean Sea at sunset that will surely amaze you! Triupmh & Evita stores offer a wide range of underwear and swimwear and always the latest fashion trends. Men – Women – Children Underwear – pajamas & swimsuit. You can find all known brands such as Dolce & Gabbana, Calvin Klein, Just Cavalli, MED, Triumph, Luna, Hanes, Venus Victoria and many others are still in huge variety of designs and at particularly low prices. Psarovarka is a renovated shop, overlooking the sea. A place with old rustic style and décor that smells sea.It has 10 different kinds of ouzo and raki. It offers a variety of snacks, such as octopus salad, chickpeas with eggplant in the oven, giants, beans, sardines in vine leaves, fruit salad, stuffed potato, grilled halloumi cheese or cream cheese, squid stuffed with four cheeses, mussel and more.Try the lobster and shrimp. Daily fresh fish and a variety of salads, which are all made by the cook.A new proposal for the afternoons and evenings .. SENSES CAFE And your senses, acquire meaning The senses café has been created with taste. It’s a cozy place, friendly and also elegant, combining quality, a place of attraction for small and large. Throughout the day you can enjoy your coffee or your drink and delicious cold dishes and salads and desserts. An area that covers you, whether you have friends or not, and with the luxury will lift your mood even further. Hangout with many beautiful instances, excellent service for unique moments. The eshopkos.gr founded in 2008 with the common goal to make a difference in a market plagued by accuracy and poor service. Manage to offer low prices and high quality collaboration with selected suppliers, choosing the best market opportunities and using innovative ways of selling. Our vision is to become the No1 preferably in electronic commerce for residents in Greece, not only through competitive prices and offers, but mainly by upgrading their living with unique services and unmatched quality of service. Our obligation is that products are safe and provide a special gift for you and your loved ones. Stable company policy is to provide consumers the lowest prices in the market utilizing technology and low operating costs as ecommerce store while maintaining the high quality and reliability offered by branded products. Company’s headquarters remain in our offices Mandilara 56 in Kos which operates the store. The cellar Chartofili, years now offers its services to you, your friends, clients. Wide range and variety of wines and spirits. Also cares for their timely delivery throughout the island, with no extra cost, because your time is really precious.